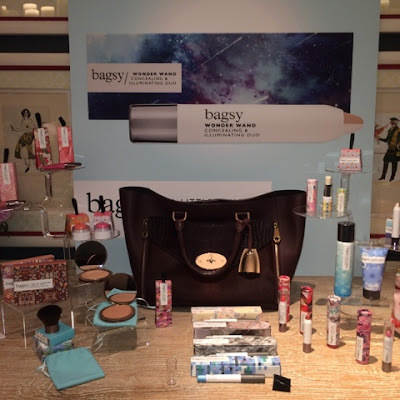 Last week I went to the launch of an exciting new makeup brand called Bagsy which is a capsule collection of beautiful and practical makeup essentials perfectly designed to fit inside your handbag. 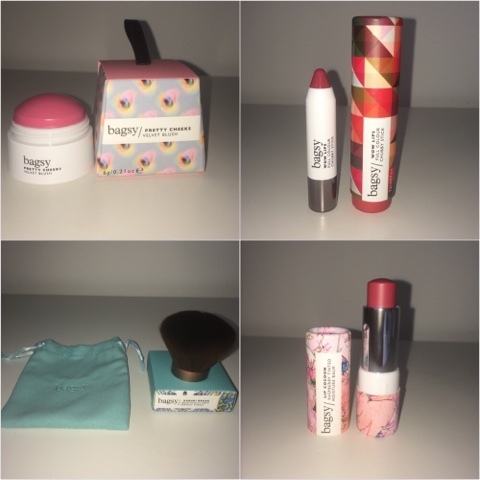 After spending many years creating products for some of the top luxury beauty brands in the world, British born Bagsy have decided to do it for themselves and create a collection that is small, beautifully designed, and easy to use. Great news for someone like me whose bottomless pit of a handbag contains the entire beauty section of a department store. I carry everything I wear on a daily basis. Just in case… I carry powder, foundation in small pots, extra lipstick, perfume, eyeliner, pretty much doubles of everything I own. My bag weighs a ton. The great thing about these products is that they are small, light and designed to suit all skin tones. Each product has been crafted with attention to detail and the packaging is colourful and quirky. 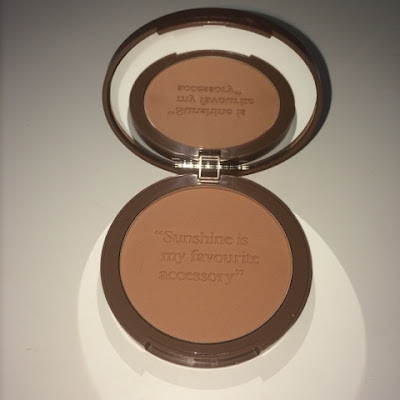 In particular, I like the blusher box that opens up like a panetonne box, as well as the slogans on the bronzer and eyeliner (all below). I was told at the launch by its founders that they wanted to steer away from the black packaging (their current clients who they cannot name) found on most beauty counters and create something vibrant and fun. The makeup is pretty luxurious and high in quality as they do already manufacture for the leading luxury brands they have the insights into formulating the best products. A few of my favourites are below. The Pretty Cheeks blusher is not as vibrant as it looks and contains gold shimmer which comes through once it has been blended. The Wow lips is a high impact glossy lipstick containing nylon and sperical powders which stays on the lips and hydrates. The Kabuki brush is perfect to blend, comes in a little pouch and can be throw into the handbag. The delicious smelling Lip Cacoon does what the bottle suggests by nourishing and protecting using ingredients such as beeswax, and shea butter. Also, the Pretty Eyes eyeshadow can be easily blended, lasts all day and comes in four colours. Ray of Sunshine is perfect for the summer. The packaging is super cute, which kind of makes me want to never use it. It creates a matt look which is a natural glow to any skin colour. It is available in a lighter and darker shade. 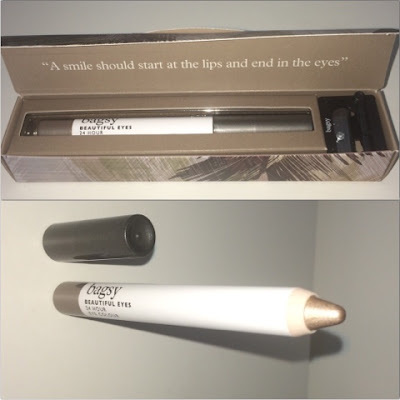 I have my eye on the double sided highlight and concealer Wonder Wand below. 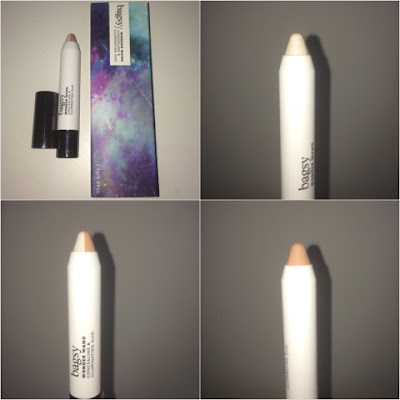 Use one side of this dual-sided highlighting and concealing crayon to cover blemishes and dark circles and the other to illuminate the top of cheekbones.